In the end, all case studies come down their basic elements: the challenge, the solution, and the results. While each case and it's surrounding circumstances is different, some things remain the same. Simply put, our team’s success is due to our numerous years of experience and unparalleled service offerings. Below you will find some of the case studies highlighting these successes as told through print, television, film and on the web. A chilling story of kidnapping and murder, this case was investigated and solved by Ed Du Bois, III, and led to the successful prosecution of all 11 members of the Sun Gym Gang, two of whom received double death sentences. This book is was written by Peter Davidson about the Sun Gym Gang and their victims. It chronicles Investigators, Inc's President Ed Du Bois as the investigator on the case. The Amazon description of the novel: The deaths of wealthy Miami entrepreneur Frank Griga and his exotic dancer girlfriend began the unraveling of the most diabolical death-for-dollars plot in history. A gang of thugs targeted wealthy Floridians for kidnapping, extortion, and death— until the authorities jumped into the fray. 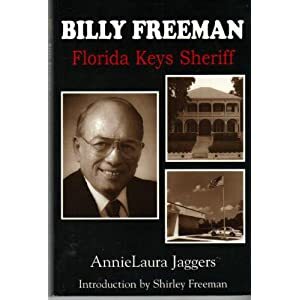 This book is a biography written about Sheriff William A. Freeman, Jr. (1929-1989), who served three terms as Sheriff of Monroe County, FL from 1977 through 1989. Ed Du Bois, III, was a special consultant to Sheriff Billy Freeman throughout his entire term & subsequent death in 1989. Upon his election, Freeman met with Du Bois and announced that he had inherited one of the country's most corrupt police agencies and enlisted Du Bois to come in and "clean house" no matter what the cost. Thirteen months later, Du Bois successfully accomplished this rare and tremendous feat bringing honest law enforcement back to the citizens of the Florida Keys. 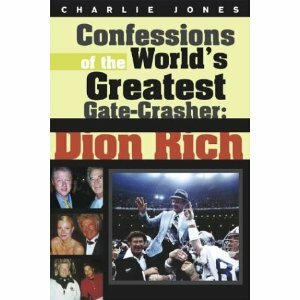 This book was written by Charlie Jones for Dion Rich, the self-professed, greatest gate crasher in the world. He dedicates a chapter in the book to Ed Du Bois, III complimenting him for catching Rich crashing a Super Bowl game. This apprehension led to Rich agreeing to never attempt to crash any future NFL events. Click here to read the chapter. George Wackenhut, of Wackenhut Security, was the original partner of Ed Du Bois, Jr., the founding President of Investigators, Inc. Du Bois, Jr. and Wackenhut, along with J. Kenneth Altschul and William Stanton, formed Special Agent Investigations. In 1955, a rift occured between Du Bois, Jr. and Wackenhut and a professional split took place resulting in the establishment of Investigators, Inc. 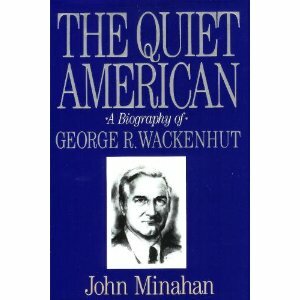 The biography of Wackenhut offers a reflection on the early days of the investigative business and the forming of Investigators, Inc.
Robert Maheu, a former client of Investigators, Inc., chronicles his first-hand account of his professional relationship with Howard Hughes. After Hughes mysteriously disappeared from Las Vegas, he hired Ed Du Bois, III and Investigators, Inc. to find him. This led to a worldwide search for Howard Hughes. Betty Ann Good started a grassroots battle that led to not only safer neighborhoods in her home state of Florida, but a national phenomenon that eventually spread to other countries. The author’s story takes readers through slices of American history, from the 1935 hurricane that wiped out the Florida Keys, to a gangster shootout at her grandfather’s lake house, to U-boats alongMiami’s coast during World War II, to the presidential campaign of John F. Kennedy, to a scandal involving Miami’s judges, and more. Ed Du Bois, Jr., Ed Du Bois, III and his late wife, Sissy Du Bois are discussed in the memoir. Pain & Gain is an upcoming feature film with a scheduled release for Spring 2013. The film is based on the three-part series published by The Miami New Times of the same title. The film stars veteran actor, Ed Harris as Ed Du Bois, III, along with Dwayne "The Rock" Johnson and Mark Wahlberg starring as Sun Gym gain members. Ed Du Bois, III has a cameo role in the film, playing a Miami-Dade police detective in a scene with Ed Harris. Filming took place in Miami, Florida from March -June 2012. Click HERE for more information about the film.